Was the Paris Terrorist Attack Predicted? Is War on the Ground in Syria Next? 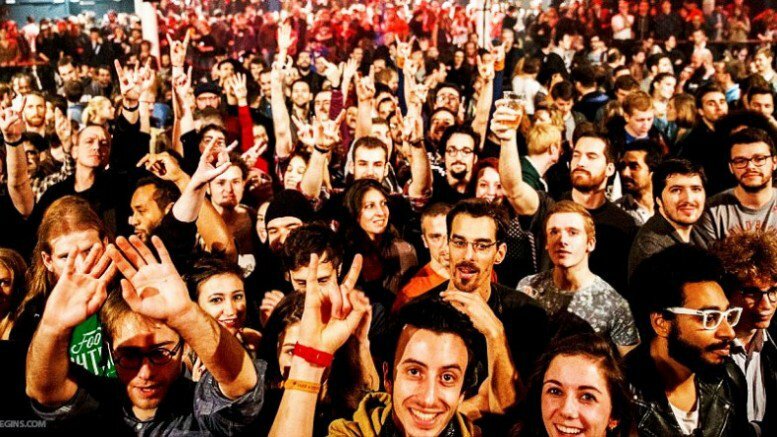 These are the revelers at the Bataclan concert hall in Paris. They’re enjoying a performance by the American rock band Eagles of Death Metal on Friday the Thirteenth. Just a few minutes after this photo was taken, three ISIS terrorists burst into the concert killing and wounding many of the good people you see in this photo. 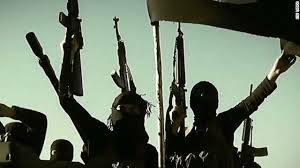 DAIISH, the Islamic State is not a terrorist organization. It has established itself as a political, sovereign state. Ladies and gentlemen of the West, whatever you thought ISIS was, or whatever Washington or its lackey US media propagated it as, Dawlat al-Islamiyah f’al-Iraq wa al-Sham (the Islamic State of Iraq and Syria) is a country. It has a government, the subjects pay taxes. 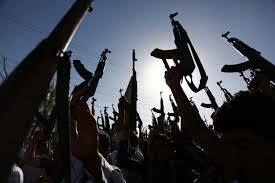 It has a standing jihadist army and it has declared war on “you” living inside your European and American nations. The state of DAIISH has just launched an initial wave of offensive attacks started on Halloween and climaxing on Friday the Thirteenth. DAIISH is an Islamo-fascist version of Nazi Germany and like the Grossdeutsches Reich (the Greater German Realm) of Adolf Hitler, it’s a country that has declared war on any country standing in the way of its expansionist drive to turn the Muslim world into a vast Islamist fundamentalist empire. The Islamic State is on the offensive attacking its international enemies at a time when Saturn is its first fiery degrees in Sagittarius since the end of September. Grim Saturn’s color is as black as the flag of DAIISH that flies over its capital Raqqa in the third of Syria this Islamist Caliphate conquered along with the third of Iraq in the latter half of 2014. The last time Saturn was in Sagittarius the precursor of DAIISH was born, al-Qaeda. 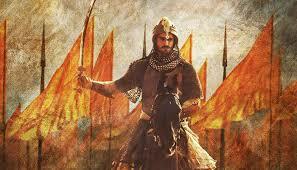 When the negative potentials of Saturn’s transit through Sagittarius are engaged, the freedom and higher-mindedness loving sign can give birth to intolerant, self-righteous and violently fundamentalist religious and political movements. 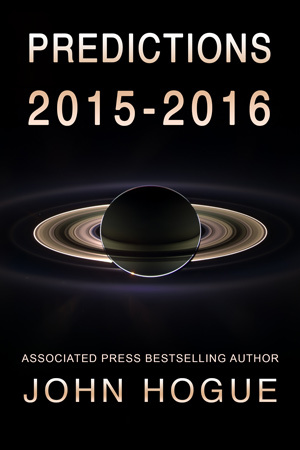 The transit of Saturn in the next two years will bring the tension around DAIISH to a climax of full-scale war. But for now, the muddled US military strategy and air campaign prompts the Russian Federation to recently enter the conflict on the side of Bashar al-Assad’s Syrian regime. The Syrian Army now can effectively coordinate its ground forces with Russian air strikes and do more damage to ISIS armed forces, command centers and bases in the initial six weeks than US air strikes accomplished in one year. ISIS did take its revenge on Moscow, downing a Russian airliner. It was packed with Russian tourists heading home to St. Petersburg and gaining altitude after taking off from the Egyptian Sinai Peninsula resort of Sharm el-Sheikh. It will be later confirmed what I predict now. It was a bomb that had been planted in luggage nestled in the luggage hold blowing the airliner in two killing all 224 people aboard. ISIS specifically chose Halloween. Remember, therefore, these numbers: 10/31/15. ISIS is trying to message you something. Some good news for American arms was disclosed on the morning of 12 November. 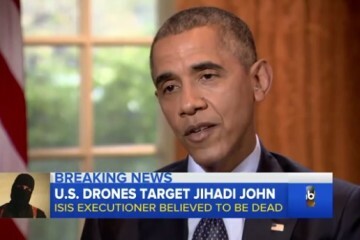 Barack Obama told George Stephanopoulos on Good Morning America that “Jihadi John” was liquidated inside Syria by a US drone strike. 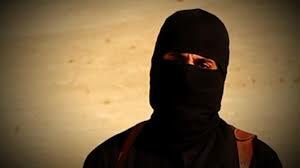 Johnny boy was the notorious, British-born Arab who became the dreadful poster boy with bloody knife of ISIS, infamously beheading US journalist James Foley and a half dozen other hostages dressed in orange Guantanamo prisoner jumpsuits, each show of degenerate violence shot on camera. Really? Apparently ISIS was watching. Not long afterwards the “Shaheed” hit the fan! 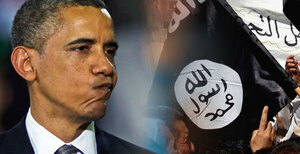 ISIS answered Obama with a well-coordinated string of attacks in the next 48 hours in Beirut, Lebanon, and Baghdad, Iraq, climaxing in six attacks across Paris, France. Aftermath of Beirut Bombing the day after. The first victims were the families and civilians in a Hezbullah neighborhood in Southern Beirut whose fathers, brothers and sons serve alongside the Syrian Army combatting ISIS. 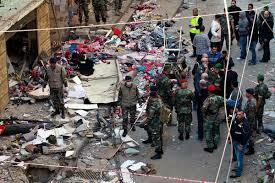 Just hours after Obama confidently clucked about containing ISIS, on Thursday night, 12 November, a crowded market in a Hezbullah community was laid low by a suicide bomber in the worst bombing in Beirut years, killing 43 and grievously wounding 250. The bomber survived his blast and declared he was a jihadist from ISIS. The following morning, unlucky Friday the Thirteenth dawned with a Shia Muslim family and friends gathered in Baghdad for the somber occasion of burying a pro-government soldier who fell in battle with ISIS. There was an explosion. An ISIS suicide bomber killed 18 mourners and wounded 41. Madrid train station just a second before the blast. An instant later, the bomb explodes! 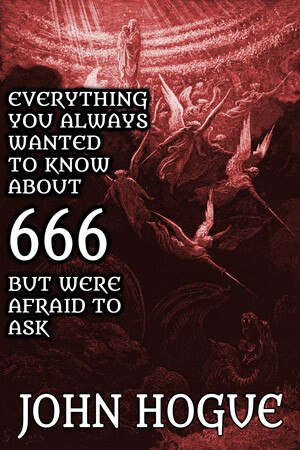 Friday the Thirteenth of the eleventh month of the year was only getting started being an unlucky for terror’s victims. Arabs gave civilization numerals and Islamic Arabs like to send their victims messages by the numbers. November, as I’ve often accurately anticipated in my postings over the years, seems to be a favorite month for Islamic terrorism because it plays with the number 11, a numerical hint at 9-11/01. Usama bin Laden endorsed the 9-11 attacks at a filmed breaking of bread repast in Afghanistan on 11-9-01. 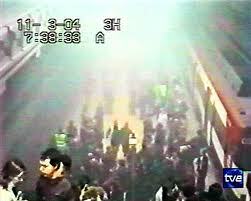 The Madrid train station bombings on 3/11/04, killed 191 (add them together they equal 11). The blast also wounded around a thousand civilians exactly 911 days after hijacked jets on 9/11/01 hit the World Trade Center and Pentagon, killing 2,996 and injuring over 6,000. Al-Qaeda convert US Major Nidal Hassan fired on unarmed US soldiers at Fort Hood on 05 November 2009 killing 13 and wounding over 30. India’s 9-11 Attack! The Taj Mahal Hotel aflame. Non-Arabic Muslim terrorists kept the tradition alive. On 26 November 2008, a South Asian jihadist commando unit of Lashkar-e-Taiba boarded an Indian fishing boat on the high seas, killed its crew, and disembarked from inflatable motorized dinghies on the shores of the financial district of downtown Mumbai, India. In the following two nights and days they shot up two internationally famous five-star hotels, the Oberoi and Taj Mahal, along with the Chhatrapati Shivaji train terminus, Cama Hospital, the Leopold Café and the Nariman House, a Jewish center. 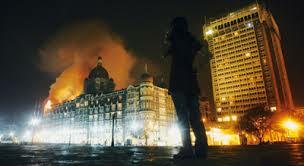 The surviving commandos made their last stand at the Nariman House, and the smoldering Oberoi and Taj Mahal Hotels until all but one wounded jihadist were killed by the morning of 29 November 2008. This attack has been called India’s 9-11, and was broadcast as it happened live on international television. A total of 166 were killed and 293 wounded. Perhaps the Islamic State continued, or attempted to perpetuate a variation of its infernal numerical terror by the numbers game in their offensive against Russian civilians (Halloween) and French civilians (Friday the Thirteenth). Add up the numerals of 10/31/15 and you get 56. 5 + 6 equals 11. Now to the clockwork precision of the multiple Paris terror attacks. 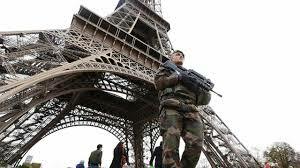 The first of six assault rifle hammer blows across Paris began on Friday the Thirteenth at 9:21 pm, Paris Time, with a suicide bomber attempting a run into the Stade de France at entrance D during a friendly football (soccer) match between the French and German teams. Failing to get in, he blows himself to bits. 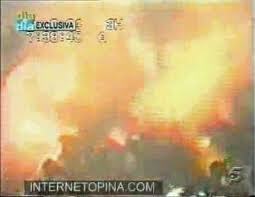 The explosion reverberates through the packed stadium inciting the crowd to cheer, thinking it is some firework effect. 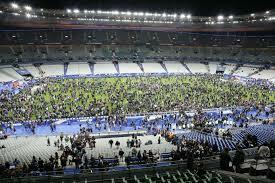 A second and louder explosion moments later echoes inside the stadium as another suicide bomber ignites a similar explosive belt and turns himself into a pink blood cloud and source of nail, button and bolt shrapnel cutting down four people who are near the stadium entrance on the Rue Rimet in the Saint-Denis suburb of Paris. The sound of the explosions and French President Hollande’s hasty departure to safety is all caught on an international televised broadcast beamed to millions of French and Germans watching the venue. Four minutes later, at 9:25 PM, several miles southeast of the stadium the Paris Tenth District, heavily armed and masked terrorist pull their black car up to the corner of Rue Alibert and Rue Bichat. In their hit and run attack they spray the crowded restaurants Le Carillon and Let Petit Cambodge with volleys from AK-47 assault rifles, upsetting and sending food, drink and a carefree Friday night careening to the floor, mixing spilled meals with the blood, flesh and shattered bone of 15 people killed and ten more seriously wounded. Two minutes later in the Eleventh District of Paris, at 9:32 pm, Friday night revelers relaxing with their beers, drinks and good company at tables outside A La Bonne Biere on the corner of Rue Fontaine au Roi and Rue Faubourg du Temple. They notice a black Seat auto pull up and disembark three heavily armed and masked gunmen. These pull out their AK-47s and at point blank range mow down the revelers in a hailstorm of over 100 bullets before racing off in the car. Six minutes later another black vehicle carrying attackers pulls up to La Belle Equipe at 92 Rue de Charonne in a drive by shooting of more people dining outside the restaurant killing 19 and wounding 9 seriously. A testament to the terrorist’s military discipline and training they once again leave behind exactly 100 AK-47 spent shell casings. Four minutes later, the the streets of the Eleventh District of Paris echoes with another shattering and thunderous explosion as a suicide bomber runs into the restaurant Comptoir Voltaire at 253 Boulevard Voltaire, setting off a similarly manufactured blast belt like those used at the stadium. Fortunately the force of the blast is sparing and only one person inside is seriously injured with several others slightly wounded by the shrapnel. At the same moment a death squad of three terrorists disembark from a black VW Polo before the sold out Bataclan concert venue at 50 Boulevard Voltaire. 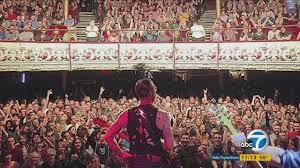 The American Band, Eagles of Death Metal, was playing a final set for its concert to a happy audience. Some readers might recognize their music as some of its members composed the theme songs for raconteur restaurateur Anthony Bourdain’s No Reservations show on Travel Channel. I believe they’re also responsible for his theme music on his new CNN show Anthony Bourdain: Parts Unknown. 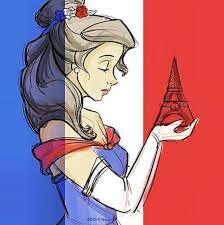 The terrorists weren’t only hunting for French victims. A lot of concert venues were happening on any Friday night in Paris. They were making a point by going after an American band and perhaps score a few dozen dead Americans alongside European revelers. Lead singer of the Eagles of Death Metal with cheering audience just minutes before the attack at the Bataclan. They stormed in through the front doors and opened fire on a packed audience of over 1,500 dancing and celebrating fans massacring 89 and wounding hundreds more. Many revelers were taken hostage and crowded on the stage. After a peremptory address declaring the attack was a reprisal for the coalition airstrikes in Syria and Iraq on ISIS, they began executing scores of hostages one-by-one, piling them up on the stage where the American band had played as some grim testimony. The band members had escaped in the initial volleys of bullets, though their merchandise manager near the front doors had been killed. 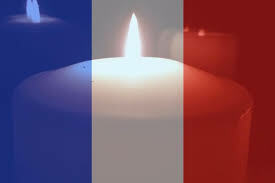 When French military police burst in, guns blazing, the three attackers detonated their suicide belts. 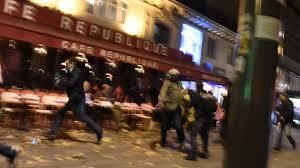 The day and the venues and restaurants targeted were meant to signify Jihadist displeasure at Western pleasures. Friday is the holiest day of the week, the Sunday of Islam, if you will. In the ISIS-mindset, anyone drinking on Friday should be executed. That’s why the bars and the beer drinkers sitting at their street-side tables outside of restaurants where gunned down. That’ll teach’em a self-righteous lesson. The mindset of extreme Wahhabism cannot tolerate singing or music on the holy day. That’s why the concert hall was attacked. They frown on playfulness of any kind. No one dare play soccer or any other sport on Fridays. That’s why the failed attempt was tried to break into the Football (soccer) match and blow up people in the stands for their lack of righteousness. Islamo-fascists like these have often declared how much they love death, so of course they hate life and all its pleasures, its laughter, its singing and celebrating. These are sins to all ISIS death eaters and Islamo-Zombies. Back to their numbers game. The terrorists synchronized their attack at 9:21 pm, European continental time. Three sevens add up to 21. Like 9 and 11, 7 is also an important terror message number. I’m reminded that the Charlie Hebdo massacre in Paris earlier this year happened on 7 January 2015. 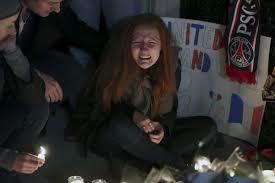 The last major European targeted attack happened in London on 7/7/05 when suicide bombers blew up crowded double-decker buses and train stations of London’s Underground, killing 56 and wounding 700. Note that the Madrid bombings in 03/11/04 also give us 3 + 4 = 7 with 11. Click on the cover and see the NEW PRINTED EDITION. In 2015… Terror cells may already have infiltrated Europe masquerading as Muslim refugees pouring into Italy from Africa and the Middle East. EU security experts consider the sea route to Italy from Libya the most dangerous doorway for jihadists to infiltrate Europe. Thousands of EU citizens traveling to the Middle East have joined ISIS. Some of them are returning home to ply their infernal trade on a scale at least as violent as the 3/11 (2004) Madrid subway train bombings or of the 7/7 (2005) al-Qaeda bus and subway bombings in London. I would expect the most vulnerable time for such a strike is August through September 2015, especially the earlier month coinciding with the peak of the summer holiday season when Europeans go on vacation more than merely physically but also mentally, meaning watchfulness on the crowded beaches, resorts and train stations will be lax. boat loads of Syrian refugees cross the Aegean to disembark in the EU through Greece. It is ever interesting to me how some but not all details surface out of the depths of the future’s potential for documenting. Fact checking a recorded prediction is a way we can recognize how prophetic bias or too much attention on current events during the reading might garble its vision. As more information comes out, most of the perpetrators were Arab French and Belgian citizens with one attacker apparently carrying a Syrian passport that was stamped with his entry into the EU via one of the Greek Islands off Turkey. 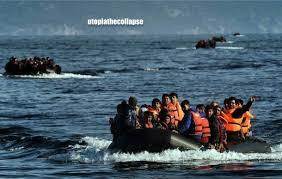 That means at least one came as a refugee by sea, though not from Libya and through Italy as foreseen. 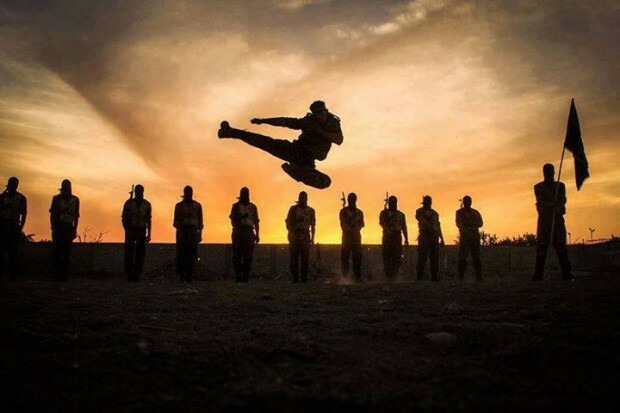 It is true that upwards of 3-to-5,000 French citizens have gone to Syria to fight with ISIS or other jihadist militias and they are coming back home, trained, ideologically primed and ready for Islamist martyrdom. 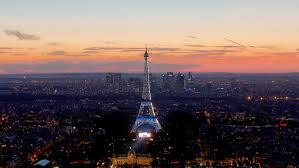 At the time of this writing the Friday the Thirteen Paris terrorist attacks have killed 129 with 352 injured, of which 99 are in critical condition. This certainly makes this the worst attack on the EU since the Madrid and London bombings. The “most vulnerable” time certainly could have been in August through September when Europeans are on vacation and Paris crowded with foreign tourists might play sitting ducks to drive-by shooters while sitting at tables outside bars and bistros. When writing the forecast early last December, almost a year ago, I apparently forgot my earlier written warnings about the eleventh month of November being terrorist hunting season more often than any other month. The hardest thing to achieve is an accurately dated prediction because of all the unconscious and mechanical factors that have to randomly yet perfectly come together on a specific day. The future is not written in stone. It only sometimes appears that way to us because we are more than often creatures of habit and predictability that the algorithm of prescient intuition can sometimes forecast that date. Still, I was only off by six weeks. As this goes to press on 17 November videos have come out yesterday from DAIISH-Islamic State that announce Washington D.C. is the next target. It was only last Wednesday, just a few days before the Beirut-Baghdad-Paris attacks, that I published what I foresee is the next escalation in this war. You can read the first Hogueprophecy article from 11 November 2015 by clicking on ISIS. Egyptian Coptic Christian laborers captured and beheaded by ISIS affiliated jihadists in Libya. In prompt and devastating response to the Paris attacks, French jets plastered the DAIISH capital of Raqqa in conquered territories once belonging to Syria. The ISIS Jihad welcomes all of this. These death worshippers “want” to draw NATO and the United States onto the ground in their Islamic prophetic vision of the Final Battle of Islamic Armageddon to be waged in the ruins of ravaged Syria. It would seem that history is blind man bluffing its way towards a destiny foreseen by Nostradamus, The War of the Third Antichrist. It begins in earnest next year—2016. It’s an odd turnabout foreseen, that an asymmetric war of terrorism might climax looking more like a conventional war fought by nation states with Islamic State. The four main candidates for Nostradamus’ Third and Final Antichrist. Click on the picture and read more. 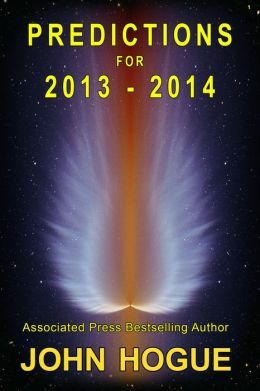 Read this book for free in the Kindle Unlimited library. Salafism is taking hold of a new generation of unemployed and frustrated Muslim youth. Such mass mob movements attain an unconscious hysterical momentum. Only time and violence can burn down the religious zealotry to exhaustion and entropy. The secularists in the Arab world failed to organize when the window was open for them. Now the window closes on this Arab springtime of 2013 through 2015. Salafism drives fate and it will take a generation to exhaust itself completely. 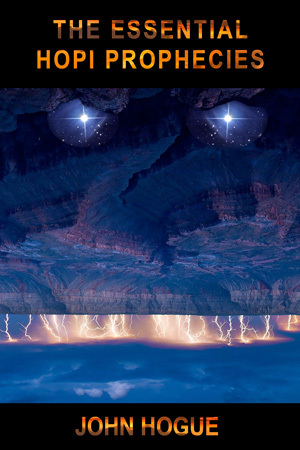 Still, the seed of reform is planted and it will flourish eventually by the end of the transit of Neptune in Pisces when reform and revolution movements gain some momentum in 2025 with malefic squares of this decade replaced by harmonious and progressive supporting trines of Uranus and Pluto by the middle of the next decade. Just as we go to press, French President Hollande is in talks with Russian President Vladimir Putin. Russia and France will now share intelligence and information coordinating their naval and air strikes against DAIISH-ISIS. This is a major step towards establishing the Grand Alliance Putin had proposed in October and I predicted back on my Armistice Day article (11 November 2015) was the next step. We are heading for a major land war in the heartland of the Middle East in 2016! This entry was posted in ISIS and tagged 11/09/01, 2016 predictions, 224 people killed. Fort Hood Shooting, 3/11/04, 7/7/05, 9-11 attack, 9/11, a La Bonne Biere, Afghanistan, al-Qaeda, Anthony Bourdain, Anthony Bourdain: Parts Unknown, antichrist, Barack Obama, Bataclan, Belgium, cold war, Comptoir Voltaire, Daesh, DAIISH, Eagles of Death Metal, EU, Europeans, France, Friday the Thirteenth Paris Attack, Grossdeutsches Reich, Hezbollah, Hezbullah, Hitler, Hogue, Iraq, ISIL, ISIS, ISIS death eaters, Islamic State, Islamo-Zombies, John Hogue, La Belle Equipe, Lashkar-e-Taiba, Mabus, Madrid bombing, Middle East, Mumbai attacks, Nostradamus, Obama, Oberoi Hotel attack, Paris terror attacks, prediction, predictions, predictions 2016, prophecies, prophecy, Raqqa, Russian airliner, Saturn in Sagittarius, Sharm el-Sheikh, St. Petersburg, Stade de France, Stade de France bombing, Syria, Syrian Army, Taj Mahal Hotel attack, Third Antichrist, Wahhabism. Bookmark the permalink. Post a comment or leave a trackback: Trackback URL.